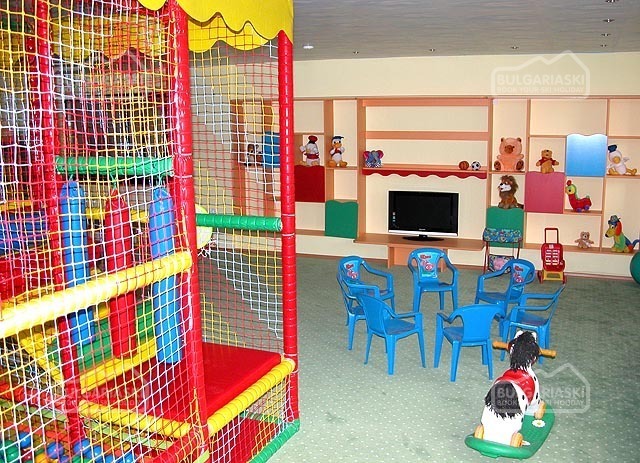 Accommodation: This 4-star apartment hotel complex offers a variety of facilities to attract and benefit all guests. The copmlex offers accommodation in 13 studios, 29 one-bedroom apartments and 9 two-bedroom apartments. 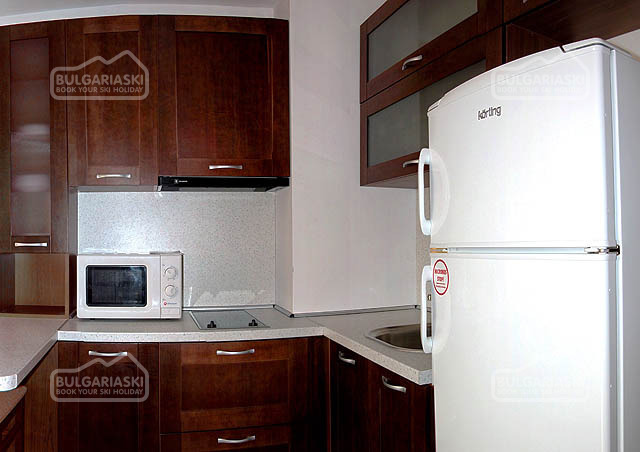 All studioa and apartments have satellite TV< telephone, mini-bar, Internet access and air-conditioning. Services: Room Service, Meeting/Banquet Facilities, Airport Shuttle, Business Centre, Babysitting/Child Services, Laundry, Dry Cleaning, Barber/Beauty Shop, VIP Room Facilities, Breakfast in the Room, Ironing Service, Bridal Suite, Currency Exchange, Souvenirs/Gift Shop, Bicycle Rental, Shoe Shine, Car Rental, Tour Desk, Fax/Photocopying. 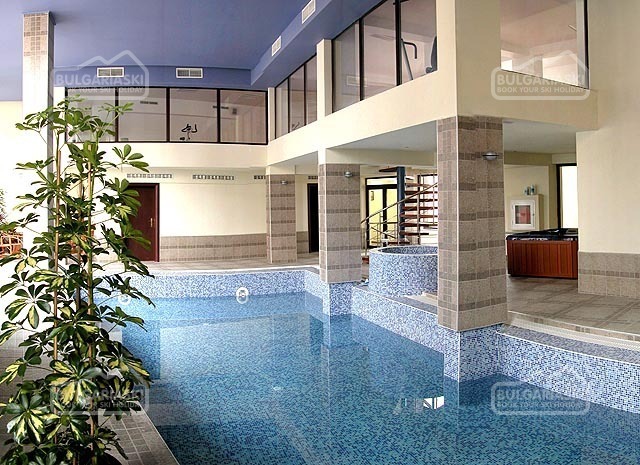 Activities: Sauna, Fitness Centre, Golf Course (within 3 km), Fishing, Skiing, Games Room, Solarium, Spa & Wellness Centre, Massage, Children's Playground, Billiards, Darts, Jacuzzi, Biking, Canoeing, Walking, BBQ Facilities, Cycling, Turkish/Steam Bath, Hammam, Horse Riding, Ski School, Indoor Swimming Pool. By far the WORST hotel I have stayed in anywhere in the world (and I've stayed in loads!) There was a problem everyday ranging from no hot water to no water at all. The radiators didnt work so were given electric heaters that blew a fuse everyday. 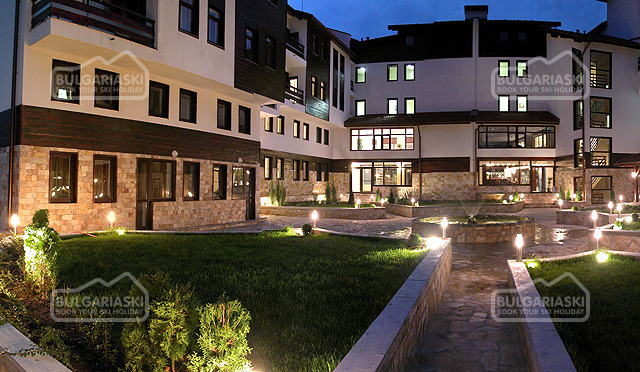 During a power outage in Bansko (which occur every week) - that lasted 8 hours we were given ONE candle per room there was no backup generator so no light/ heating anywhere in the hotel and to climb the 8 flights of stairs to our rooms with a candle was not only difficult but very dangerous. All the staff are very rude and unhelpful and haven't got a clue on customer service. Any complaint was generally met with a 'shrugging of the shoulders', 'rolling of the eyes' response. 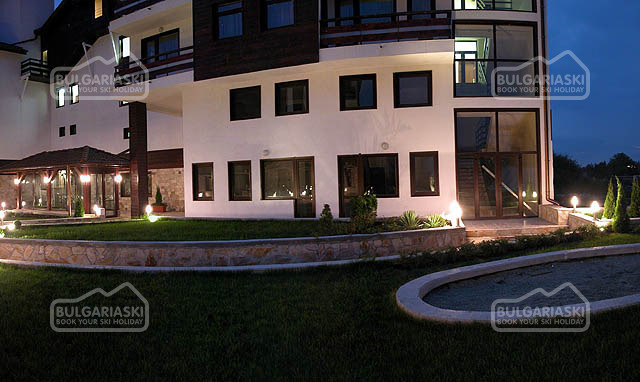 This is also the ONLY hotel in Bansko which charges extra for use of ANY of the spa facilities which it fails to mention when you book. I could go on and on....simply: Strongly advise DO NOT stay here!! Please, post a comment on Mountain Paradise. Actually was put int Mountain Paradise not Mountain Paradise 11 as Mountain Paradise 11 was closed.